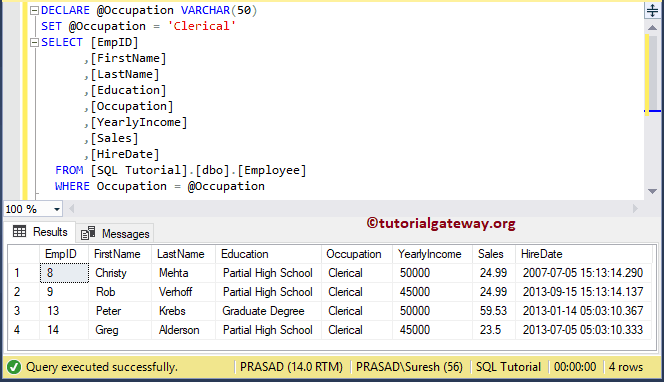 In general, when you create a SQL stored procedure, or any query that accepts parameters you might force the user to provide a value for that parameter. 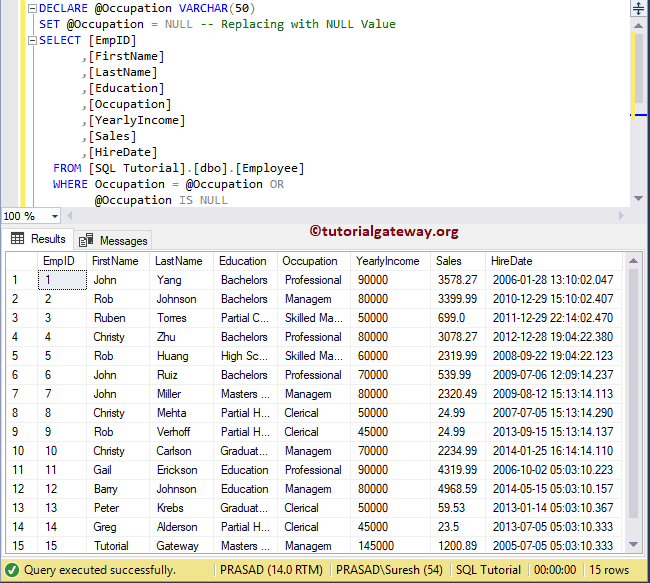 This is not the case in real-time so, you have to allow NULL values and empty strings. 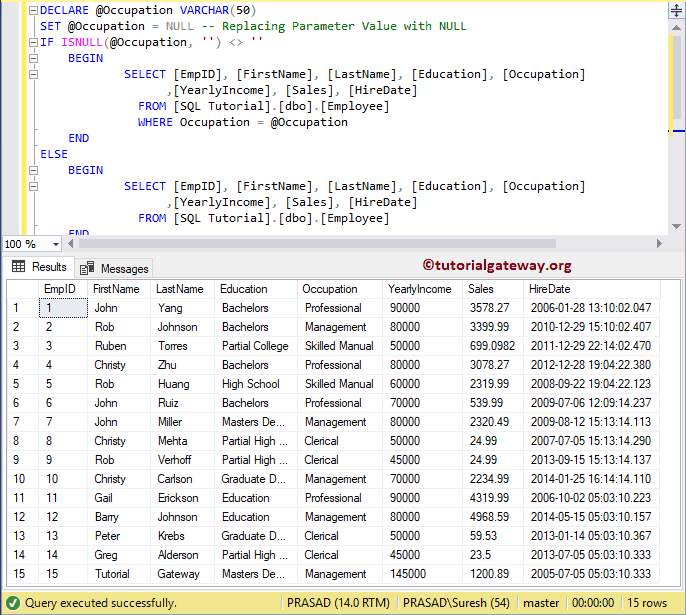 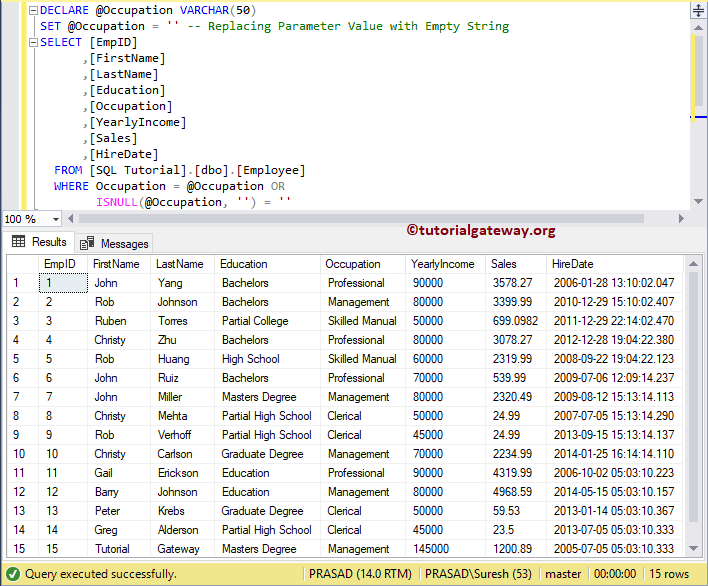 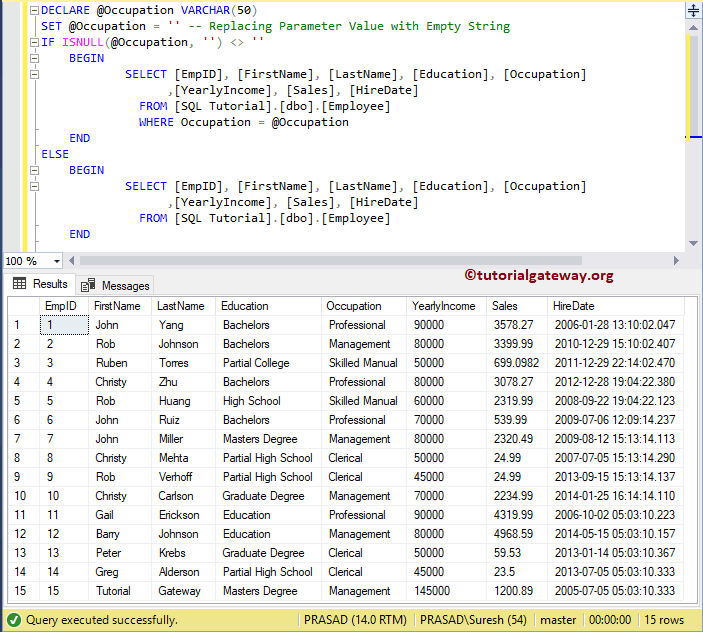 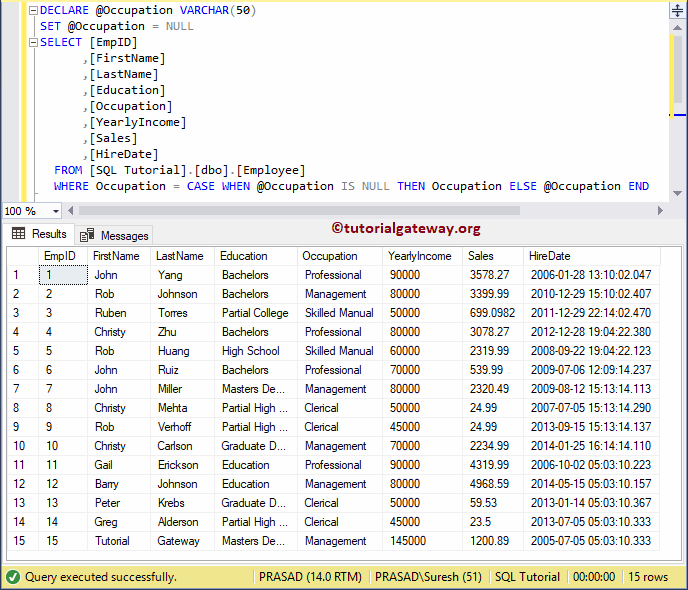 In this article we will show you, How to write SQL Query to Select All If Parameter is Empty or NULL with example. 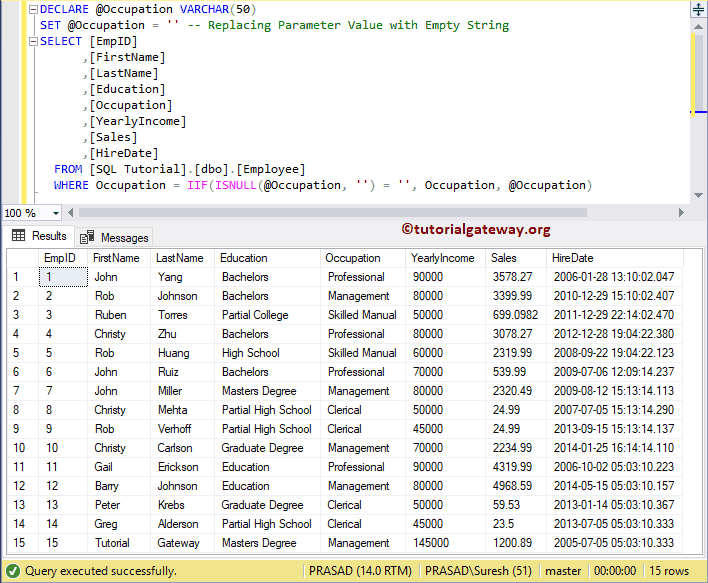 If you miss to provide a valid Occupation value then it will return empty table. 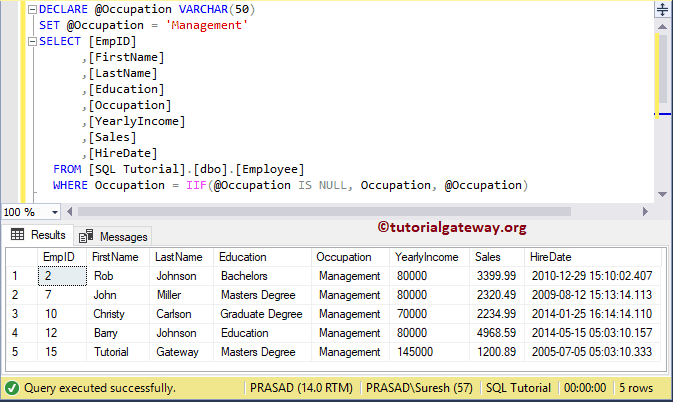 In this example we are using IIF Function along with IS NULL to check whether the parameter value is NULL or not. 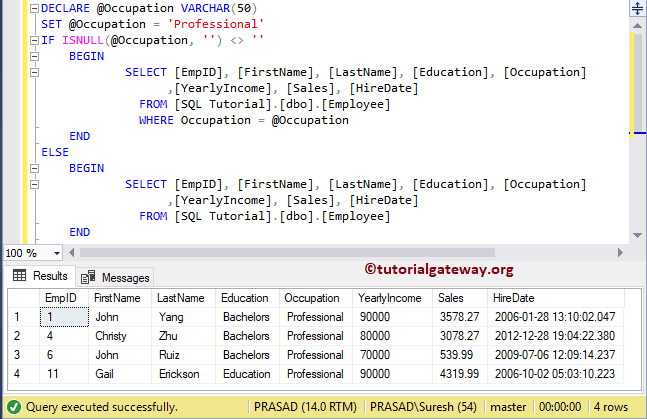 If true then Occupation = Occupation otherwise, Occupation = User provided result. 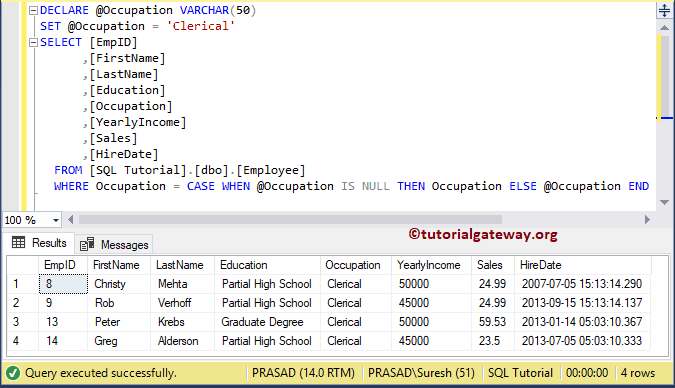 In this example we are using CASE Statement along with IS NULL to check whether the parameter value is NULL or not. 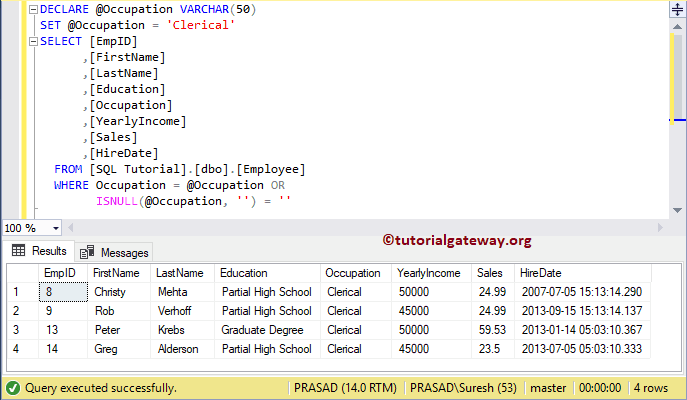 In this example we are using OR Operator along with IS NULL inside our WHERE Clause to check whether the parameter value is NULL or not. 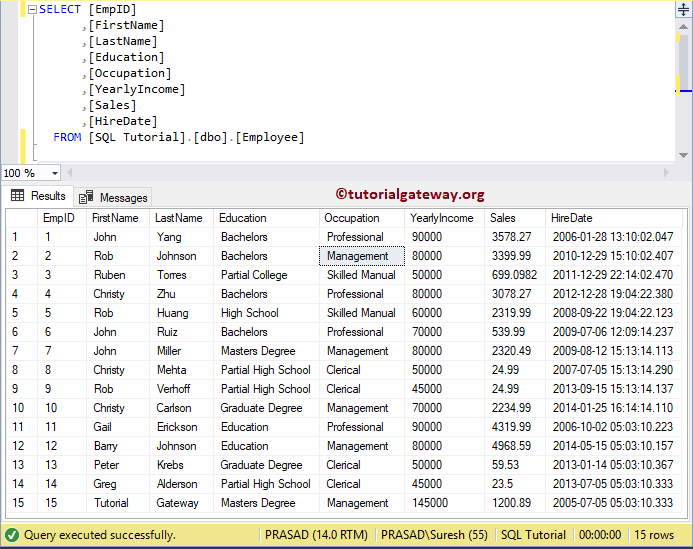 In this example we are using IIF Function along with ISNULL. 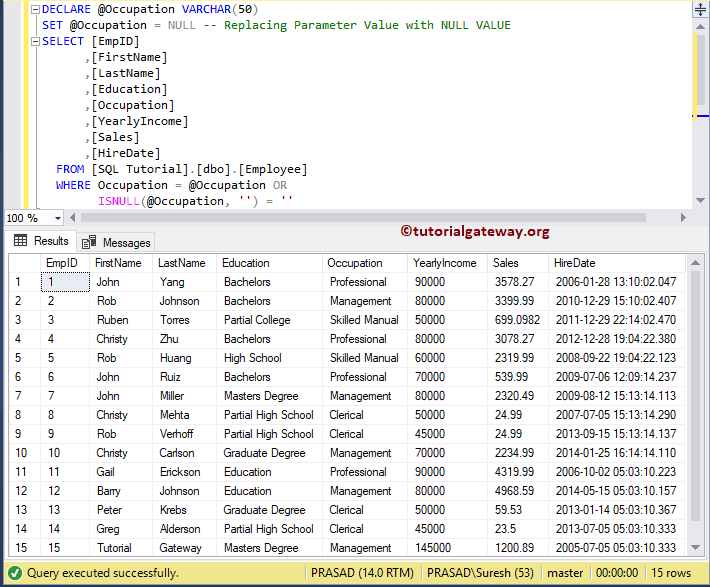 First, ISNULL function will check whether the parameter value is NULL or not. 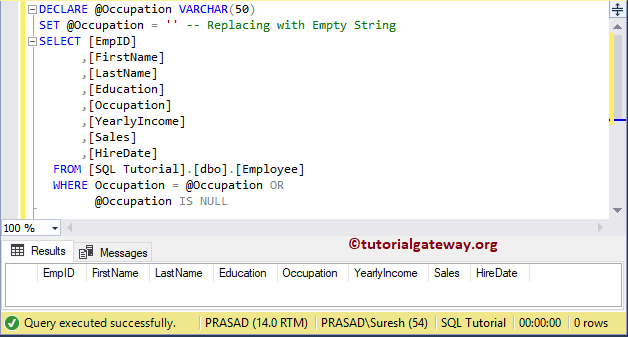 If True, it will replace the value with Empty string or Blank. 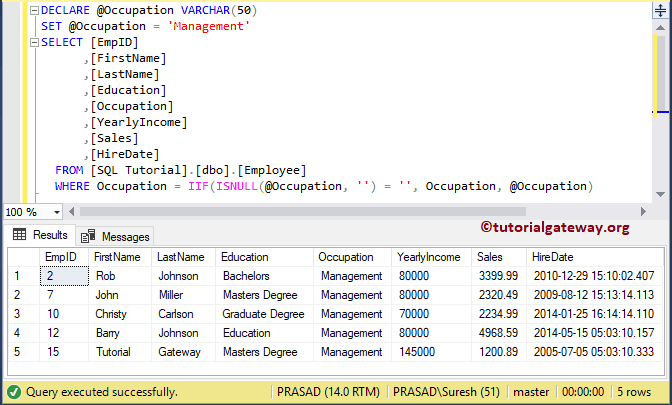 Next, IIF will check whether the parameter is Blank or not. 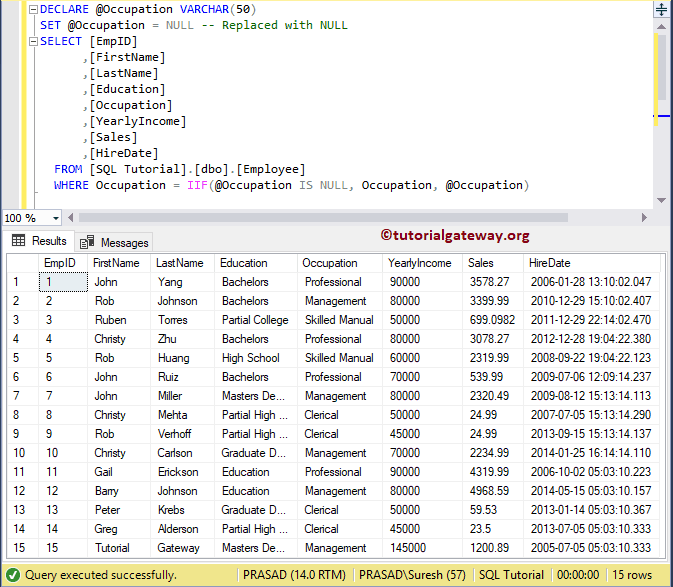 If true then Occupation = Occupation otherwise, Occupation = User provided result. 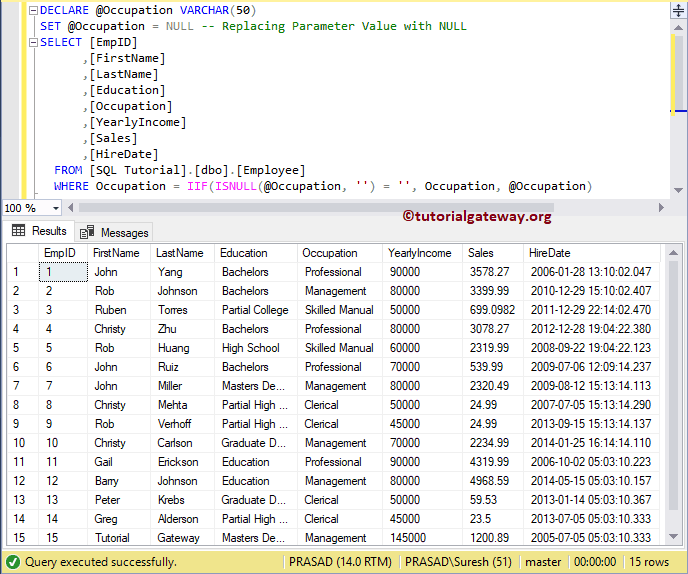 You can see from the below screenshot, it is returning all the records in Employee table for Empty parameter value. 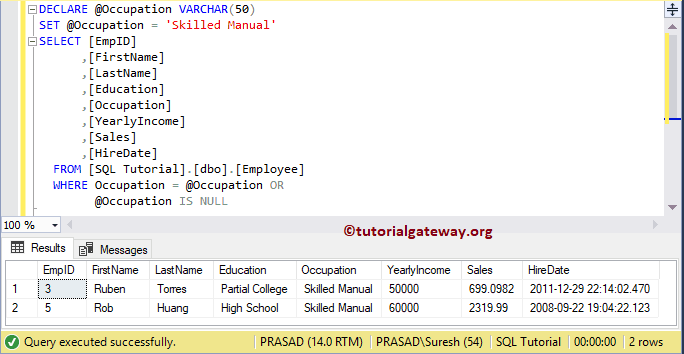 In this example we are using OR Operator along with ISNULL function.